Joe D is the creator and innovator behind Mets Merized Online, one of the best Mets blogs around. We’re looking at a team about to turn a corner and deliver a sustained run of competitive baseball. The team is constructed on a foundation of young high caliber pitching that will soon be complimented by some young top position prospects who are still a year away. Yes, they are ready to contend, but they are still a piece or two away from going all the way. It’s tough to say what they’re missing at least until we learn more from Wilmer Flores at shortstop, and see whether Wright, Granderson and Cuddyer can all stay away from the DL and deliver performances commensurate with sizable investment we’ve made on them. But I’m with Ron Darling who said the Mets need to make that Mike Piazza type splash. We’ll assess where we are at the break. The Nationals have owned the Mets over the last three seasons and clearly they need to solve this puzzle. If you take away the 19 games with the Nationals last season the Mets are 7 games over .500. 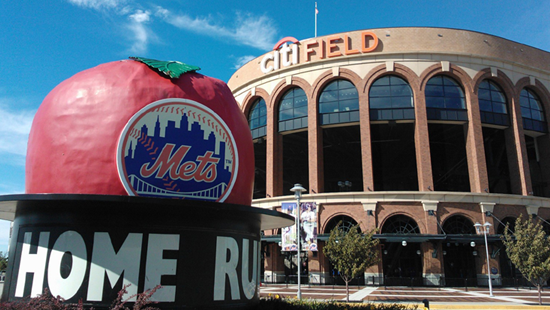 Clearly, the road to an NL East title goes through the Nationals for the Mets. Hopefully the Mets are not letting the Nats get into their heads. If the Mets can take 2 of 3 in Washington to begin the season, it would send the rest of the league a strong message. I expect a solid season from Wright and do believe his shoulder issue is behind him. However it’s silly to expect the kind of performance we saw from Wright in 2006-2008, those days are gone. That doesn’t mean Wright can’t still produce at an above average level at third base. For me that guy is Curtis Granderson. The Mets paid him big money to be the power bat that would protect Wright in the cleanup spot. Instead he was bounced around all over the lineup including a stint as leadoff hitter that was an epic fail. Now they moved in the fences for him, brought in his old hitting coach, and got Cuddyer to ease the pressure. It’s time for him to deliver. I hate the Yankees big time but I don’t obsess over what they do because I understand we are two organizations operating under completely different financial landscapes and ownership groups. When a team like the Mets rebuild it’s a 6-8 year process. When the Yankees, Red Sox and Dodgers rebuild it’s a 2 year process. The difference is money. Definitely the Mets. I love our prospects better and the fact that we have so many high octane pitching prospects which is what ultimately wins championships. I’m a disabled veteran and have only been to Citi Field once. I had the Blue Smoke pulled pork sandwich and it was to die for. Of course you can never have enough Nathan’s fries and hot dogs. I’ve had Shake Shack burgers before although not at Citi, and that’s a damn righteous burger. The Mets will be a couple of games short of making the playoffs but will be completely thrilled with the huge step forward they took, and the promise of an exciting future with plenty of playoffs appearances on the horizon.